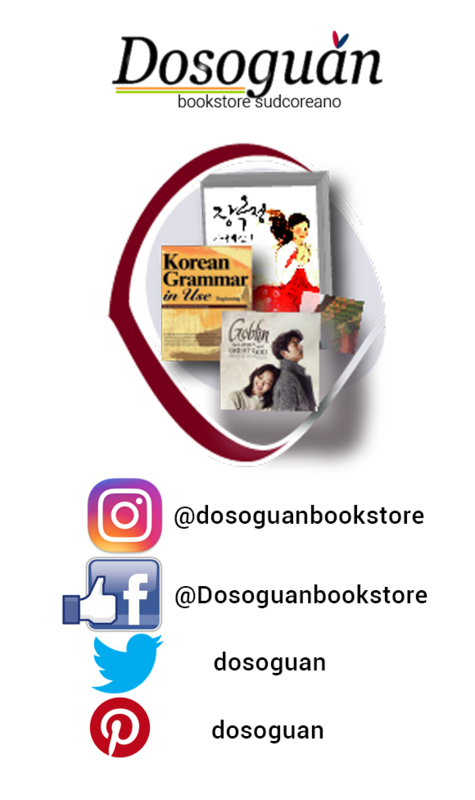 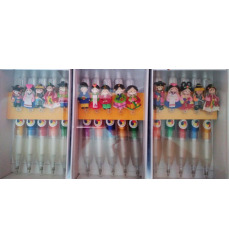 it is a special gift for yourself or others, because it has meaningful symbols of South-Korea culture. 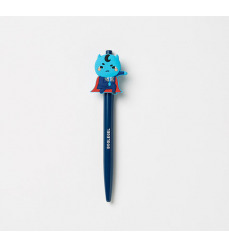 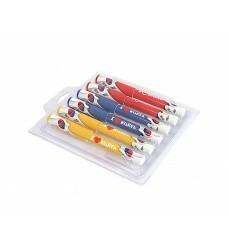 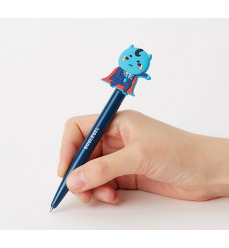 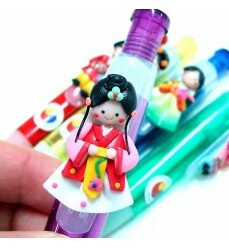 Cute korean ballpoint pens you can use in your study time, to make lovely and funny hours. 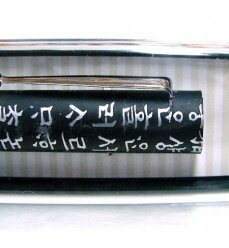 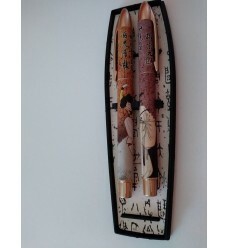 korean ballpoint pen with ancient hangeul motif : white Hunminjeongeum syllables on black background. 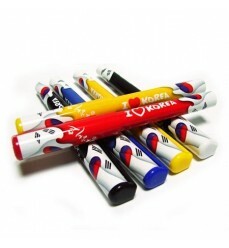 Korean colorful pens; a special gift like a souvenir, from South Korea. 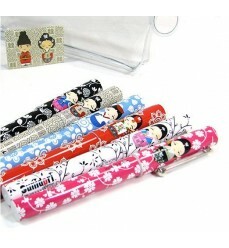 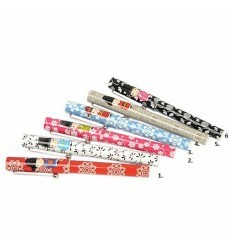 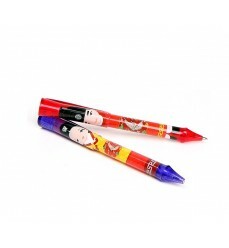 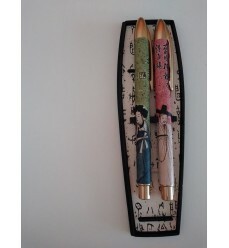 korean colorful pens with cute dolls motif. 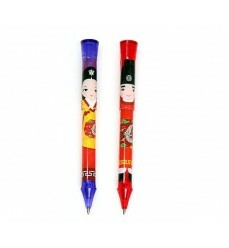 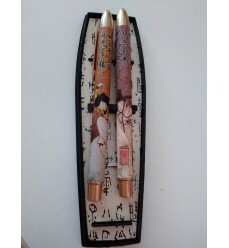 King and Queen korean pens! 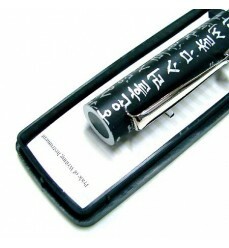 From k-drama Guardian: The Lonely and Great God.